Please have a look at the pools swimmers like you have reported near Iran. Please, report any Iran Swimming Pool not listed here. Not all countries are the exact same, and swimming rules and regulations are changing from one country to the other. So, if this is your first time looking for Iran Pools, make sure to contact the premises just before you drop by. Are you a regular swimmer? Have you ever practiced Aquagym in Iran? Let us know!. Do you know of any Pools in Spain that really should be listed here? Contact us!. The very best Iran Pools are located mainly in huge cities, but it's also easy to find public pools in rural areas. Going to a Iran Swimming Pool is increasing specially within the elderly population sectors of Iran, who have suffered some type of muscle or bone damage. Enjoy the best indoor pools in Iran and don't worry about the weather. These facilities are open all seasons and you can enjoy a swim at the same temperature every day of the year. 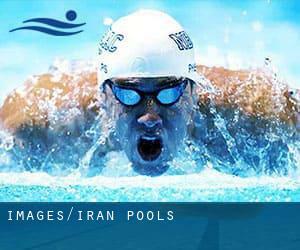 There are numerous reasons why it is best to choose a heated swimming pool in Iran. Essentially the most essential 1 relies on the importance of keeping the body temperature stable. If the water is as well cold, your body will try to warm it up and you will shed strength to swim appropriately. Let us tell you a secret to switch off when you are in Karaj: just choose a Swimming Pool in Karaj and plunge into the water! There's no a lot more effective technique. It's difficult to visit Iran without dropping by Tabriz (with 1.424.641 residents). Currently Swimia is showing you all the Swimming Pool in Tabriz and also the closest pools situated in its vicinity. Without a shadow of a doubt, swimming in Mashhad may be the best approach to unwind after work. Take a couple of minutes to browse Swimia's catalog to find a Swimming Pool in Mashhad. Swimming is actually a excellent idea to keep your body active throughout your visit to Shīrāz (Iran), or perhaps in case you are a local. Swimia helps you to find your closest Swimming Pool in Shīrāz. Holding an estimated population of 7.153.309, Tehran is among the most important cities in Iran. Check all of the Swimming Pool in Tehran and its surrounding region. Whereas Isfahan is one of the six most populous cities in Iran with almost 1.547.164 residents, you shouldn't miss that one if you're going to Iran. At the intersection of Chamran Expressway and Evin Cross Road , Tehran . Among all of the activities offered by the center, if you are thinking about swimming you'll take pleasure in 15 meters, Indoors. Just in case you would like to contact this Swimming Pool before dropping by, we only know the phone number. Updated on 2019 Chamran Expressway 1 , Teheran Trade Fair , Tehran . Among all the activities offered by the center, in case you are interested in swimming you will delight in Olympic size x 25 meters, 8 lanes, Indoors. Just in case you would like to get in touch with this Pool just before dropping by, we only know the phone number.